Check the latest collaboration from the two Canadian artists. 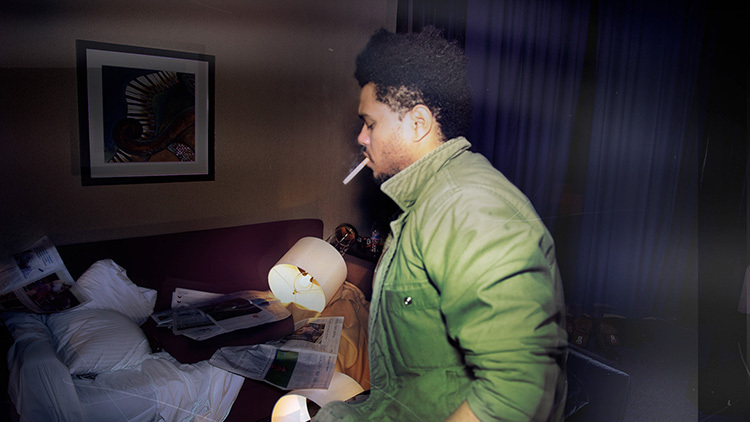 Kiss Land, Abel Tesfaye's debut album proper after the release of and subsequent repacking of his Trilogy of mixtapes, is out this coming September on Universal, and the build-up continues with 'Live For'. Possibly one of the most likely features to come together in recent months, 'Live For' sees Drake join his Canadian compatriot The Weeknd on a typically self-aggrandising chronicle; an addictive, and convincing, hook revolves around both performer's playfully larger-than-life verses, their claims juxtaposed against the contemplative and relaxed beat.